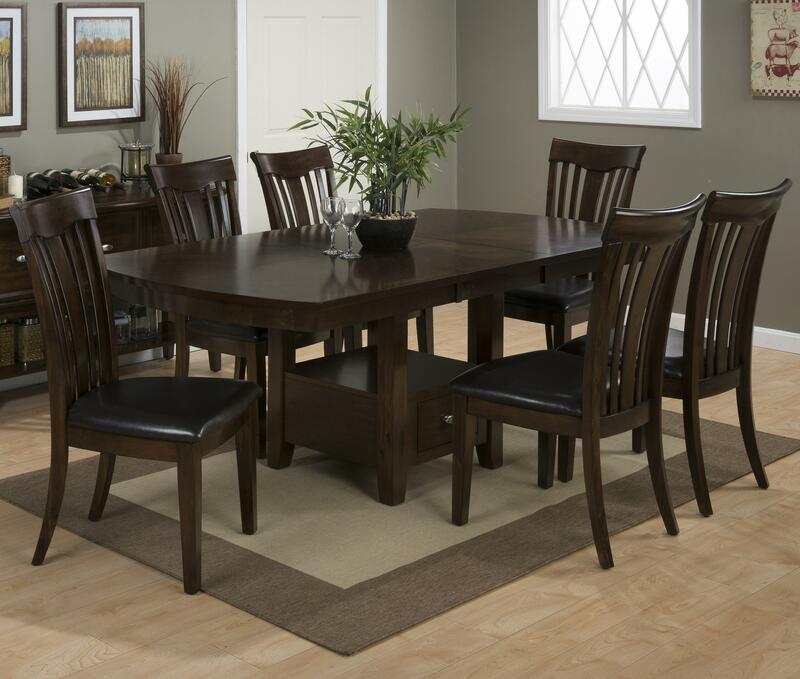 This dining room table and chair set has a unique shape that is soft yet edgy. Creating an urban vibe that is fashion-forward and refreshing, this dining room table set features a pedestal base design on the table with simple lines throughout the rest of the collection. The table edge is rounded creating an element of interest and a small drawer adds accent and storage to the base. The coordinating side chairs add an eye-catching element with curved seat backs and padded seat cushions that offer comfort. 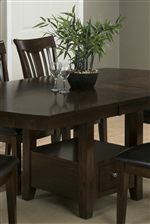 With its leaf in use, this table will extend from 60" to 78" in length. The Mirandela Birch Table and Chair Set with Padded Cushions on Chairs by Jofran at HomeWorld Furniture in the Hawaii, Oahu, Hilo, Kona, Maui area. Product availability may vary. Contact us for the most current availability on this product. Table Info Contemporary styled table with pull-thru drawer and leaf that extends table from 60" to 78" in length. Side Chair Info Side chairs have a slat back style for a contemporary mission look and padded seats for comfort.